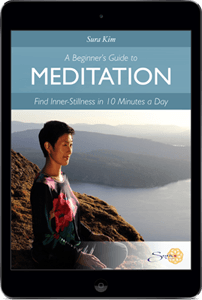 Meditation helps you “raise your energy” or “raise your consciousness.” When you raise your inner state through heightened awareness, you learn how to skillfully respond and navigate through life. Today there are many uncertain and worldly events that can cause us stress and anxiety. While we cannot control the exterior forces in life, through meditation, you can control your interior thoughts and reactions to events. This sense of deep calm and steadiness can be achieved by taking time to sit quietly each day. The more you deepen your meditation practice, the more you aware you become of your own energy and with that, your personal intuition. Our mind’s capabilities are endless, but meditation helps us to become more intimately acquainted with the inner-workings of our own mind. Intuition has a refined, light quality that will guide you towards greater synchronicity, ultimately leading you towards your right path and purpose. Please enjoy my video below to learn how to foster your energy and to regain your sense of calm.